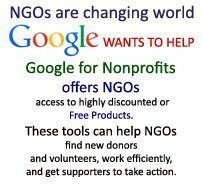 The voluntary organizations have become an irresistible global force today. They not only have a definitive place in modern state but they also perform vital functions for its members through the network of these institutions. The voluntary organizations have been providing social service to the poor, needy, neglected, the old-aged, the sick and the down-trodden. They have always been looked upon as saviors of democratic process as they represent the true fire of democratic spirit and also the instrument for accomplishment of developmental goals. Their necessity is felt all the more strongly in emergency situations, like drought, floods, etc, requiring people’s involvement and cooperation on a massive scale. Voluntarism, thus, becomes an approach as well as a technique. The term ‘voluntarism’ is derived from the Latin word ‘voluntas’ which means will or freedom. It is that action or activity which is not directed or controlled by the state. It is an activity which is governed by its own members and not by any outside force or external control. Voluntarism may be seen as typically oriented to the service of the victims of the state and civil society, the principal goal being existential amelioration of victim groups. Compassion and charity are the ethical foundations for voluntarism. Voluntarism is inherently intolerant of violence, even by the victims. It is also characterized by working for the disadvantaged, deprived and dispossessed – the Atisudras in Ambedkar’s Hinduised description of the proletariat. The term voluntary organizations has been used interchangeably with voluntary associations or agencies or action groups or non-governmental organizations (NGOs). While UN calls it NGOs, Shri T.N. Chaturvedi prefers the traditional concept of voluntary associations which has a positive meaning as against NGOs, for NGOs are deceptive, and carries negative meaning. The voluntary organizations are independent, flexible, democratic, secular, non-profit people’s organization which work for the welfare of the society. It renders noble, selfless community service on voluntary and non-profit basis by resourceful, enlightened, public-spirited, active citizens and social workers. David L. Sills, defines voluntary organizations as a group of persons, organized on the basis of voluntary membership without state control, for the furtherance of some common interest of its members. Sills excluded three types of similar associations: (i) making a living association (like business firms, trade associations, etc. ); (ii) religious organizations; and (iii) political parties He contended that membership in such voluntary associations as labour unions or professional societies, may be a condition of employment or professional factor and, thus, may not be truly voluntary. Membership in a church or in a family may be inherited from one’s parents and in that sense, not voluntary. According to Beveridge, “a voluntary organization is an organization in which whether its workers are paid or unpaid, is initiated and governed by its own members without external control”. In the words of Bourdillon Voluntary Organization is the product of the blood, sweat and toil of a few individuals who are known for their persistent efforts commitment to certain social ideals”. Voluntary organizations are formalized organizations beyond the market and state, receiving their resources from voluntary contributions of the society and on the basis of voluntariness to transform them into collective goods to solve social problems. Michael Banton defines voluntary organizations as a group organized for the pursuit of one interest or several interests in common. The voluntary organization is “a formal, non-partisan body which comes into being as a result of personal initiative of an individual or a group of individuals to voluntarily undertake developmental work at the grassroot” and “aims at bettering the lives” of specific groups in the society. The UN nomenclature of NGOs refers to “any international organization which is not established by inter-governmental agreement shall be considered as a non-governmental organization including organizations which accept members designated by government authorities, provided that such membership does not interfere with the free expression of views of the organisation”. Thus, on the basis of above, voluntary organizations can be defined as those organizations which are set up by individuals or their groups, for the welfare and development objectives. Their area of operation is narrow and region specific. Their funding is done by the local communities, donors or sometimes even by the non-governmental organizations. They do not have any political affiliation, trade unionism or lobbying. They work on philanthropy, spiritual and altruistic principles. In other words, they work on no-profit no-loss basis. They are non-partisan organizations. They act as a liaison between people and government and are an important link between people at grassroots level and the policy making and funding agencies. 1. It is registered under an appropriate Act to give a corporate status to a group of individuals, so that they get a legal personality, and an individual liability may give place to group liability. 2. It has an administrative structure, and a duly constituted managing/executive committee. 3. It has definite aims and objects, and programmes in fulfillment of these. 4. It is an organization initiated and governed by its own members on democratic principles without any external control. The voluntary organizations are flexible and possess the virtues of human service with dedication. They aim at creating a situation conducive to the development of potentialities in individuals, groups and communities to find solutions to their problems and ways and means to handling these to realize their ultimate goals. The basic commitment of the people engaged in voluntary organizations is for the development of economic and social life of concerned community. 4. Motives with pursuit of profit excluded. 1. In the past these agencies adopted a religion oriented mass approach in an informal atmosphere whereas presently these agencies adopt nationalism – oriented group approach in formal atmosphere. 2. Earlier programmes included education, medicine and social reforms. Now their programmes are directed towards socio – economic development of the specified target groups. 3. Earlier the services provided by its members were honorary and free of cost to the beneficiaries. Today, the workers are paid, whole time and formally trained workers. 4. In the past they used to raise funds from the masses, took interest in government/international aid and collected token fees for services rendered. Many of the voluntary agencies today are being sponsored by industrial houses, either for publicity and image building or for sentimental and emotional reasons for the welfare of one’s own place, caste or community or for availing of the tax benefits. The voluntary organizations may take the form of a body or an institution registered under an appropriate Act to give a corporate status to a group of individuals, so that they get a legal personality, and an individual’s liability may give place to group liability. Such institutions/organizations may be working at the local, district or state level in diverse areas like formal education, adult education, women’s education setting up hospitals and dispensaries and other social service scheme. They work as relief and welfare agencies, as public services agents for governments and also as promoters of grassroots development, self help and empowerment movements. They may work for the total development of the community while some may work specially for the benefit of the weaker sections. 1. It is the result of the voluntary effort, which though motivated by different factors, is spontaneous in nature. 2. It is an organization initiated and governed by its own members on democratic principles without any external control. 3. It is registered under an appropriate Act to give a corporate status to a group of individuals so that they get a legal personality and individual liability may give place to group liability. 4. It has a general body and a regularly constituted managing committee, representing all interest, men, women, professionals, public men, etc. 5.It has definite aims and objects and a programme in socio-economic development of these objectives. 6. It is known and accepted by the community in which it is formed. 7. It has considerable autonomy and flexible planning and management of its programmes and services. 8. It has a sense of commitment to human development/welfare. 9. It undertakes people’s needs and help to solve their socio-economic problems. 10. It plans and implements its own programmes through its own voluntary and paid workers. 11. It raises its funds from the community. 12. It maintains its accounts and is accountable to people and the government so far as it receives grant. The voluntary organizations are a structurally organized entity and more or less permanent in nature. They may continue to exist till their aims and objectives are met or may identify new areas of operation. They may both be an interest group and a pressure group. They are nonetheless a repository of knowledge, information and know how. Mohit Bhattacharya characterizes voluntary organizations as non-authoritarian, commitment -producing entities that rely basically on the normal and idealistic values shared by the organization members. Thus, while summarizing the main characteristics of voluntary organizations, one can say that they are governed on democratic principles by its members. Their members are voluntary workers, would remain as paid or unpaid staff for the services they render willingly and conscientiously without any external control. The origin of voluntary work can be traced to the nature, social milieu, philanthropic activities, social service, social welfare and ethos of Indian people who believe in acts of the charity of various kinds. In fact, voluntary action and social welfare grew up simultaneously. Voluntary work existed in the form of charity, relief, welfare services, philanthropy, rehabilitation and socio-economic activities. The philanthropy was inherent in the individual as a kind of Dharma (duty) in the Indian philosophy and culture dating back to the ancient times. During ancient and medieval period, voluntarism was manifest in diverse forms. Voluntarism was visible extensively in the fields of education, medicine, cultural promotion and even succour in crises like droughts, floods, epidemics and foreign invasions or depredations by robbers and criminals. During this period the community organized and established centres of learning and research where free food and accommodation were given. They also raised funds through their own organizations to distribute grants to hospitals, schools, colleges and orphanages. Different social organs came forward to help the poor and the destitute, the sick, the disabled, widows, orphans, old people and the jobless. Similarly, the traders and businessmen, the bankers and the professionals, the artisans and craftsmen and the agriculturists were helped by their colleagues in the occupation or professions. Thus, most of the problems were taken care of by way of philanthropy and the state came to rescue only in conditions of extreme contingencies. However, the widespread voluntarism, during the ancient and medieval period, did not remove the social inequalities of the rigid caste system, particularly heaped on the lower castes, especially the untouchables. Voluntarism also could not save the people from droughts, floods, crime, robberies, excessive exploitation by the monarch, the aristocracy or government officials. During the British rule, voluntarism gained new stimulus. It was witnessed in the new religious, cultural and social surroundings. Social reformers like Raja Ram Mohan Roy, Ravindranath Tagore, Dayanand Saraswati, Sir Syed Ahmed Khan, Ishwar Chand Vidyasagar, Keshav Chandra Sen, Swami Vivekanand and others fought against the evil customs and practices prevalent during that period. Their voluntary effort and selfless services were instrumental in organizing public opinion against caste system, sati pratha, widowhood, child marriage, etc. The reformers started a number of movements against these age old evil practices. Thus, a new religious awakening was aroused by voluntary associations. These reformers and the associations formed by them created awareness about the backward and suppressed conditions of the women, orphaned children and the backward castes and communities. Some of the associations which were formed during this period were the Atmiya Society (1815), Brahmo Samaj (1828), Dharam Samaj (1830), Prarthna Samaj (1864), Theosophical Movement (1893), Ram Krishan Mission (1897), Servants of India Society (1905), All India Seva Samiti (1914), Widow Homes (1907) and Depressed Classes Mission (1926). These societies took up voluntary efforts like providing education, relief work and welfare service to the poor and the neglected. Voluntarism, thus, played a significant role in educational, health and medical and social welfare development in India. A spirit of voluntarism was aroused during the latter half of the nineteenth century. It gained a wide social recognition as an avenue of development during this period. During this period, the emergence of Mahatma Gandhi on the national scene gave momentum to the principle of voluntary work. He initiated a large number of constructive social welfare programmes to fight against the evils. The salient features of his constructive programmes were charkha, khadi, gramodyog, basic education, sanitation and eradication of untouchability. Mahatma Gandhi’s movement was rooted in the ideal of social reconstruction, self-help and the upliftment of the poorest of the poor – the untouchables – through voluntary action. Gandhi talked about national reconstruction on the basis of swadeshi, village self government and village self-sufficiency, and he lent it institutional forms. He based voluntarism on the philosophy of spiritualism, of the soul-force or love-force, which to him marked the Indian culture from the Western. He reinforced the strength of voluntarism in the economic aspect of national life by decentralization of political authority to the gram panchayats (village councils) which were to be completely independent of provincial or central government. He founded several organizations, like Harijan Sevak Sangh, Gramodyog Sangh and Hindustan Talim Sangh, to consolidate and carry forward various programmes. Vinoba Bhave, who introduced the idea of Bhoodan and Gramdan Movement, too followed Gandhian principles. Thus, voluntarism, secured a fresh lease in the national movement. Voluntarism was at the core of Gandhi’s thinking on the reconstruction of India’s economic and political organization. Inspired by his ideology, a number of voluntary associations like All India Spinners Association, All India Village Industrial Association, etc., were formed. Soon after independence, Gandhi advised that the Indian National Congress should be disband as a political party and it should be transformed into a Lok Sevak Dal. This, of course, was not done. The followers of Gandhi and others who could not or did not wish to join the government, established a number of voluntary organisations and continued to work in the constructive work programmes, supported by funds from the government. They, infact, worked closely with the government and organized handicrafts and village industries, rural development programmes, credit cooperatives, educational institutions and retained a degree of autonomy in their functioning. The post-Independence era has witnessed a phenomenal increase in the number of voluntary agencies with the introduction of Community Development Programmes. The focus was on extension work in the field of agriculture, health and community development. As a result, the Khadi and Village Industries was governmentalised. The voluntary action was also visible in the social reform stream where training was given to the young people in social work through the educational institutions like 8NDT and TI88 in Bombay. The programmes focused on relief, rehabilitation, welfare and charity. With the launching of various developmental programmes after Independence, voluntary effort has shifted its focus from welfare activities to the challenging field of rural development particularly in implementing poverty alleviation programmes. This was the period when ideas about conscientization and peoples participation began to emerge. During this period more focused work with target groups, landless labours, tribals, small farmers, women scheduled castes, scheduled tribes, dalits, etc. also became the basis for the programme of work of voluntary organizations. While some were directly involved in working with poor, helping them to get the benefits of many anti-poverty schemes, some others trained workers for organizations engaged in rural transformation, still some more got development workers, specialists in various branches of knowledge and social workers together for seminars, conferences and workshops to exchange experiences and learn from each other. Apart from this, the planners recognized their role in the First Five Year Plan document. According to the First Plan Document, “A major responsibility for organizing activities in different fields of social welfare like the welfare of women and children, social education, community organization, etc., falls naturally on private voluntary agencies. These private agencies have long been working in their own humble way and without adequate aid for the achievement of their objectives with their own leadership, organization and resources. Any plan for social and economic regeneration should take into account the services rendered by these agencies and the state should give them maximum cooperation in strengthening their effort. Public cooperation through voluntary social service organizations is capable of yielding valuable results in channelizing private efforts for the promotion of social werfare”. The Third Plan characterized the voluntary action as an aspect of public cooperation. Association for Voluntary Agencies for Rural Development (AVARD) was set up in 1958 to serve as common platform and clearing house for voluntarism. National Service Scheme (NSS) was started in 1969 to boost leadership qualities and national feelings among students. To channelize funds for voluntary organizations, People Action for Development India (PADI) was set up in 1973. In 1983, Council for Advancement of Rural Technology (CART) was formed to improve rural conditions by way of application of rural technology. In 1986, both PADI and CART were merged and a new organization – Council for Advancement of People’s Action in Rural Technology (CAPART) – was formed. It was formed to encourage, promote and assist voluntary action in implementation of enhancement of rural prosperity. Releasing the importance of participatory development, the Sixth Five Year Plan Document, emphasized the importance of voluntary organizations, formal and informal in nature, as new actors, which could motivate and mobilize people in specific or general developmental tasks and meet the new demands of the growing sphere of developmental activities. Every plan document, since then, has highlighted the importance of the voluntary sectors and accordingly earmarked the different roles to be played by them. In the eighth plan a greater emphasis was laid on the role of voluntary organizations in rural development. 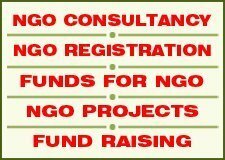 The plan document states, “A nation-wide network of NGOs will be created. In order to facilitate the working of this network, three schemes relating to the creation, replication, multiplication and consultancy development have been worked out by the Planning Commission. Efforts will be made to evolve a system of providing one window service to the NGO’s working in the area of integrated development”. Today India has a vibrant voluntary sector. Their total number is more than 1 ,00,000 and every day this number is increasing. There has been a phenomenal rise in the number of voluntary organizations during the last two decades due to rising awareness and social concern, widespread poverty and deprivation, weakening governmental delivery mechanism, democratic spirit and increased funding. With the changing notion of state, the voluntary organizations role and importance has increased manifold. The reason behind this is that government structures are not geared for integrated development like agriculture, energy, environment, water resources, equity and voluntary sector in achieving such goals. It is because it works at the grassroots level taking into account the local needs and requirements and is founded on the principles of equity and social justice. Today their role in the development process has increased and has also become more complex. From the welfare and charity approach, the voluntary agencies have gradually changed and widened their outlook towards overall development of the society. In other words, their meaning and role has been extended to an area, which would be fruitful in improvement of qualitative political behaviour of the people and making weaker sections of our society sensitive to political participation in a greater degree.